The sweet and spicy gherkins with snap. 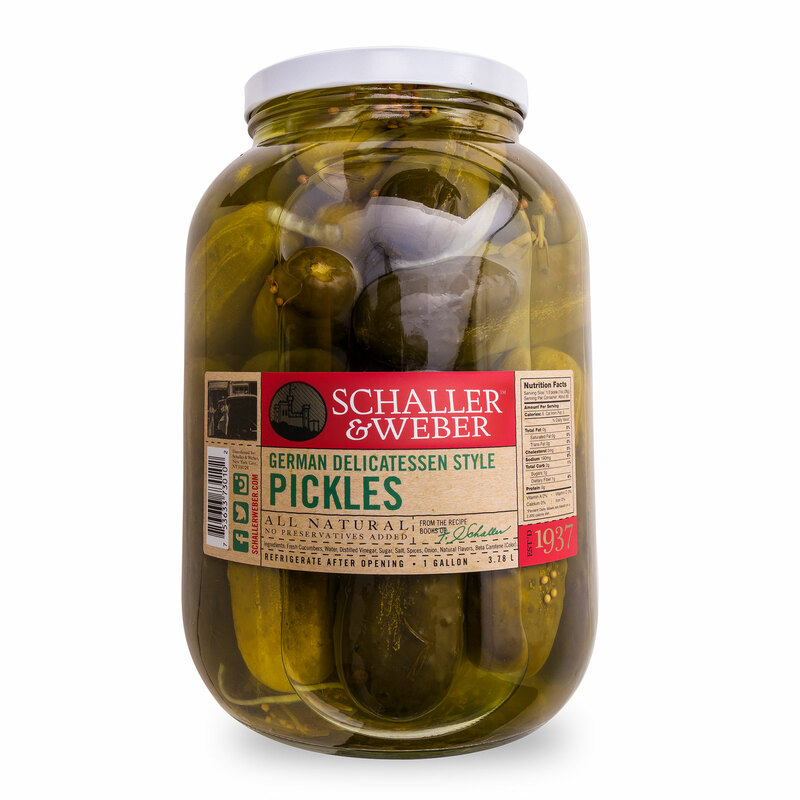 All-natural Schaller & Weber German pickles are aged according to a traditional recipe, making them unlike the standard pickles of today. These German-style gherkins are cured in vinegar with salt and onions for an incredibly smooth flavor that starts out sweet, delivers a touch of spice and always has a great snap. 32-ounce jar. Foodservice size available.